What's next for the conservative side of politics? Where are new battlelines to be drawn? Parliamentary pugilist and senior Liberal party figure Tony Abbott offers a lively and frank examination of the way forward for the Liberal party. 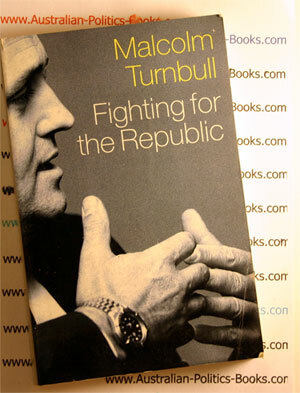 Here he reveals insider moments and draws lessons from the dying days of the Howard Government, and offers colourful insights about his contemporaries on both sides of politics. In Battlelines, Abbott looks at the values and instincts that drive the Liberal Party and maps in detail key policy directions that the party might adopt. This is also the often-humorous story of his own political development. How a would-be priest fathered an unknown son; the truth about politicians' lives; his "days from hell"; and his personal dispatches from the halls of power. 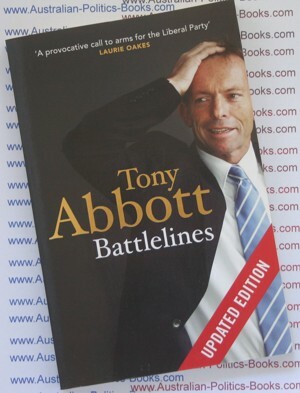 Battlelines outlines a state of play for the Liberal Party, cementing Tony Abbott's reputation as one of the firmament's most interesting thinkers. Anthony John "Tony" Abbott (born 4 November 1957) is the Leader of the Opposition in the Australian House of Representatives and federal leader of the centre-right Liberal Party of Australia. Abbott has represented the seat of Warringah since the 1994 by-election. Prior to entering the Australian Parliament, Abbott studied for a Bachelor of Economics and a Bachelor of Law at Sydney University and for a Master of Arts as a Rhodes Scholar at Oxford University. He later trained as a seminarian and worked as a journalist, business manager, political advisor and Executive Director of Australians for Constitutional Monarchy. Abbott has also been an author, ultramarathon runner and member of the New South Wales Rural Fire Service. Abbott served in the Howard Government as Parliamentary Secretary to the Minister for Employment, Education, Training and Youth Affairs from 1996-1998 and Minister for Employment Services from 1998-2001. He joined the Howard Cabinet in 2001 as Minister for Employment, Workplace Relations and Small Business. Following the 2001 Election, he took on the additional roles of Leader of the House of Representatives and Minister Assisting the Prime Minister for the Public Service. In 2003 he became Minister for Health and Ageing , retaining this position and his role as Leader of the House until the defeat of the Howard government at the 2007 federal election. Following the 2007 election he was appointed to Brendon Nelson's Shadow Cabinet as Shadow Minister for Families, Community Services, Indigenous Affairs and the Voluntary Sector. He resigned from this position in Malcolm Turnbull's shadow cabinet on 26 November 2009 in protest against Liberal Party support for the Rudd Government's proposed Emissions Trading Scheme (ETS). Following a spill motion, Abbott defeated Turnbull 42 votes to 41 in a party leadership ballot, becoming Leader of the Federal Parliamentary Liberal Party and Leader of the Opposition. Abbott led the Liberal-National Opposition to the 2010 federal election, which resulted in a hung parliament. The incumbent Labor government led by Julia Gillard, formed a minority government after gaining the support of an Australian Greens MP and three independent MPs. Abbott was re-elected unopposed to the party leadership following the election.